can be transformed into something beautiful with one brush stroke–makeup can be used to change the shape of a face, the slant of the eyes, or even the bow of the lip. “Classic Beauty: The History of Makeup” from Gabriela Hernandez, a beauty entrepreneur who founded a vintage-inspired line called Bésame, looks at the origins of some of our most coveted beauty rituals, as well as how beauty trends have changed over time. With more than 450 images, it’s a makeup enthusiast’s go-to guide for everything beauty. 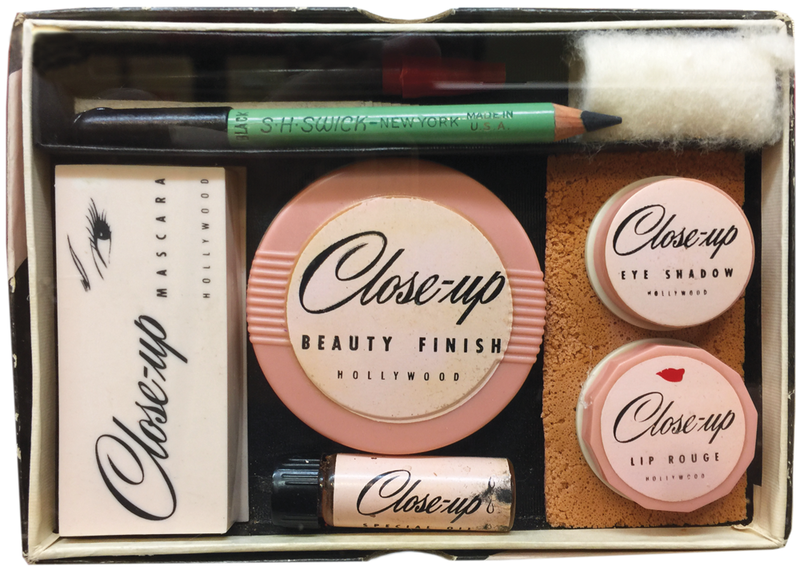 In “Classic Beauty” you outline makeup through the years. How do you believe the industry has evolved from the 20s to today? The industry has evolved with the discovery of new ingredients that enhance the texture, feel, and efficacy of makeup products. Silicones, antioxidants, vitamins, and acids for peels, exfoliation and skin brightness have all contributed to advances in makeup to deliver results for customers. “Classic Beauty: The History of Makeup” by Gabriela Hernandez. Which decade is your favorite, and why? My favorite is the 1930s, since it was when makeup really took hold as a staple product for women to use daily. Advances in formulas that looked more natural…made that period one of great advances in a short amount of time. The development of pancake makeup was a huge turning point in the way foundation was used by women. Has your book or beauty line been inspired by any one person or look? I am inspired by all of history, because I find all the events and participants all fascinating in different ways. The way women started companies out of sheer desire to bring beauty and innovation to all women at the turn of the century is truly amazing. Many faced the challenges of not only being a woman in business, but also as minorities. Madame CJ Walker is a truly impressive woman, as well as Helena Rubinstein. What would you like us to take away from reading “Classic Beauty”? Have an understanding that beauty is really a concept that changes with time, that you really should embrace what makes you feel beautiful, no matter if it is ‘in fashion’ or not. Follow your own instincts and find the style that really suits who you are, and where you feel comfortable. Use beauty to give you confidence–just like the suffragettes did when they defied men, asked to be equal and proudly wore red lipstick on their marches. What beauty fact, past or present, would we be shocked to discover? Women use to pluck the hair on the top of the hairline to make their foreheads look bigger. This made the face look round, like an egg, and gave the face a child like demeanor. Also, shaving the brows was a popular practice in the 20s and 30s, since drawing them very thin and curved was in fashion. Using boiled chestnuts to paint on brows and eyeliner was also a common practice. What beauty trends do you love and hate? I am not a fan of highlighting or contouring. I can see the use of these practices for theatrical events, but to wear on a daily basis I do not agree with the practice. The resurgence of lipstick use, especially darker shades and reds, I love, since these colors are always attractive on women if applied correctly. The no makeup, makeup look is trending. What beauty product do you believe is essential in pulling off this look? For the no-makeup look, the main objective is clear skin, so a tinted moisturizer type foundation would be the best choice. On the lips, a slight gloss and a coat of natural mascara would look the most natural. A slight flush on the cheeks with some creme rouge would also be appropriate. As a beauty expert, what sets your beauty line apart from other brands? Our focus is different. We approach the creation of products from a design and historical significance perspective. We pick products and colors that were significant in their own time, and re-create them to bring that same expertise that was lost in time to women today. We determine that there was something special about each of the products we decide to manufacture. We approach the creation of the product thinking of the way it looks as well as the way it works. All our products are manufactured in the USA. We manufacture all year in smaller batches so your product is always fresh–using only top quality ingredients. We stand behind each product we make, and hope that women will enjoy quality and long-lasting performance in every item. For those of us new to your line, what should we try first? We are known for our long wearing lipsticks and our wide selection of red colors for the lips. We can find the perfect red for any customer. Our color correcting translucent powders are also very popular, as is our cake mascara. The face. You need foundation to cover every inch of your face. On the contrary, use foundation and concealer only where you need it, to even out the skin. Avoid using heavy foundation to avoid looking like you are wearing a mask, let your natural skin shine through. The eyes. You need to use primers to get your shadow to not crease. A good makeup base will do that for you without the use of any additional products. Also, you don’t always need shadow, in the 30s and 40s, shadow was not used daily, but only in the evenings or for special occasions. The lips. You need to apply balm to the lips all the time to avoid dryness. In the fact, the opposite is true. You should use balm only when lips are very dry and as a treatment or masque in the evening. Over use of chap sticks causes sores or chronic dryness of the lips. Are there rules for different complexions and skin tones? Some cultures are more fortunate that their genes give them clear, beautiful skin. In those cases, foundation should be optional, with only some concealer for spot correction and creme rouge for natural color. Take care of your skin, cleanse and moisturize every night. Groom yourself well, take care of the nails and hair. Take care of yourself, take the time to do that at least once a week. Don’t use too many products. The aristocrats that used expensive makeup laced with lead, died disfigured and young, while the town people faired better with plain lard and herbs for their toiletries. Get enough sleep and don’t drink in excess. Both affect the look of your skin. Keep away from the sun, or use sunscreen daily. Women in ancient times knew the dangers of the sun, freckles, dark spots, and burns. They used hats, bonnets, parasols and masks to keep the sun away from their face. Vintage makeup kit from Close-up. 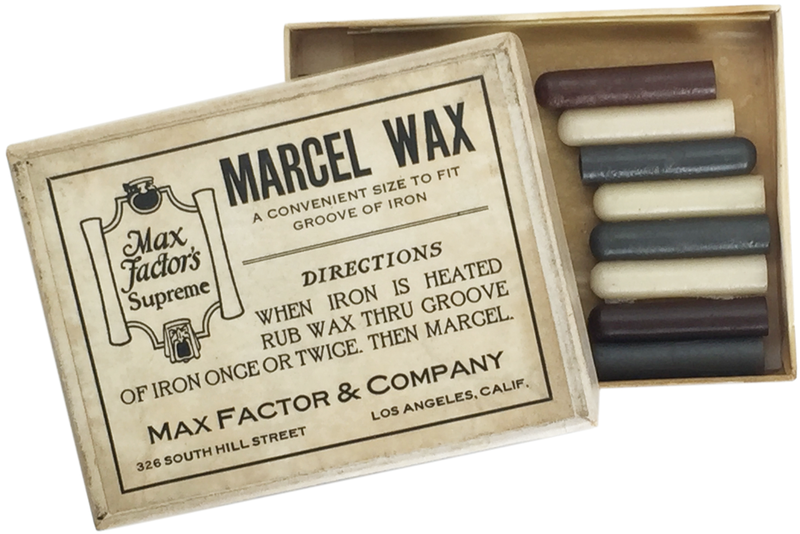 Vintage eyebrow kit from Max Factor.